This is one of the findings of a study published in the journal Fire Ecology by a research team from the DST-NRF Centre of Excellence for Invasion Biology (CIB) at Stellenbosch University, Nelson Mandela University, SANParks, and the CSIR. The aim of the study was to assess the climatic, weather and fuel factors that contributed to one of the region's worst fires ever recorded. 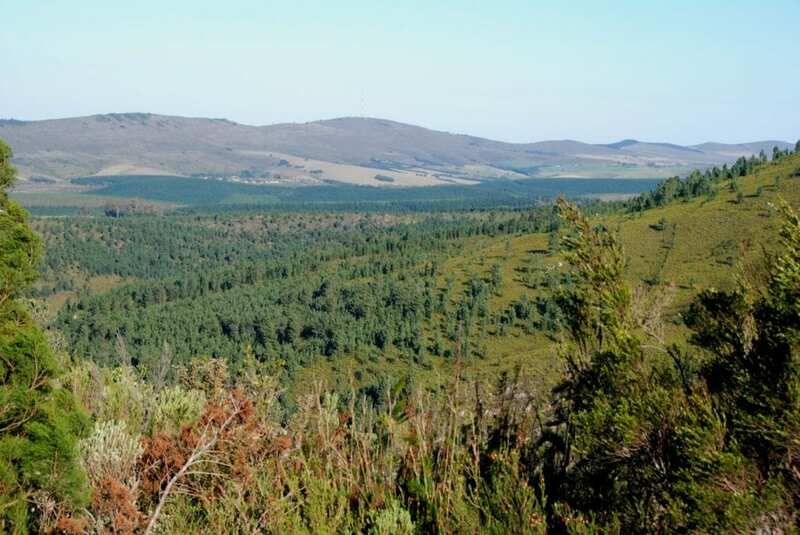 Prof. Brian van Wilgen, a fire ecologist with the CIB and one of the co-authors, says large tracts of natural vegetation in the southern Cape have been systematically replaced with plantations of Pinus and Eucalyptus species, increasing above-ground biomass from about four to 20 tonnes per hectare: "Given that more than two-thirds of the area that burned was in one of these altered conditions, our findings demonstrate clearly that fuel loads have substantially increased compared to earlier situations when the landscape would have been dominated by regularly burned uninvaded natural vegetation." It is estimated that pine trees have invaded more than 90% of the Garden Route National Park's fynbos vegetation at various densities. Additional invasions by Australian Acacia and Eucalyptus species cover a further 29% and 14% respectively: "By increasing the amount of fuel available to burn, the fires become more intense and more difficult to control," he explains. Van Wilgen warns, however, that events of this nature can become more frequent as the climate of the southern Cape becomes more hot and dry, and as the extent of invasions increases. "The conditions that exacerbated the severity of the 2017 Knysna fires will occur again. People need to stay vigilant and implement fire-wise practices, and, more importantly, steer away from placing developments in high-risk areas in the long inter-fire periods. "Our study underscores the need to implement effective programs to control the spread of invasive alien plants, and to re-examine the economic and ecological sustainability of commercial planting of invasive alien trees in fire-prone areas." The Knysna's population grew by over 70% over the past 20 years, from 43 000 people to 74 000 people in 2018. The paper "An assessment of climate, weather, and fuel factors influencing a large, destructive wildfire in the Knysna region, South Africa" was published in Fire Ecology in August 2018. The authors are Dr Tineke Kraaij, Nelson Mandela University, Mr Johan Baard, SANParks, Mr Jacob Arndt, University of Minnesota Twin Cities, Mr Lufuno Vhengani, Meraka Institute, CSIR, and Prof. Brian van Wilgen, DST-NRF Centre of Excellence for Invasion Biology, Stellenbosch University.